No. 6B, Conran Smith Road, Gopalapuram,Chennai 600 086, India. 1969 School Obtained State Rank. Education Obtained Dr.R.V. Rajam Gold Medal for standing First in the Madras University in the M.D. Exam. 1984 - 1985 Welcome Research Fellow Royal Postgraduate Medical Schools & Hammersmith Hospital, London,U.K. Rollins School of Public Health,Emory University, Atlanta, USA. 1183 publications. This includes 754 original research articles in peer reviewed journals like Nature Genetics, New England Journal of Medicine, Lancet, British Medical Journal, Journal of Clinical Endocrinology & Metabolism, Diabetes, Diabetes Care, Diabetologia, Metabolism, Diabetic Medicine, Diabetes Research and Clinical Practice, etc. He also has over 79,500 citations with a h-index of 112. In addition, he has 17 case reports, 259 review articles and invited editorials and 153 chapters in text-books on Diabetes and Internal Medicine published in India and abroad. Mohan V, Gundu HR Rao. (Eds), Type 2 Diabetes in South Asians : Epidemiology, Risk Factors and Prevention. Under the Aegis of SASAT. Jaypee Brothers Medical Publishers. 2007. Tripathy BB, Chandalia HB, Das AK, Rao PV, Madhu SV, Mohan V (Eds). RSSDI Textbook of Diabetes Mellitus. 2nd edition. Jaypee Brothers Medical Publishers. 2008. Mohan V, Unnikrishnan RI & Anjana RM. (Eds), Dr. Mohan’s Handbook of Diabetes Mellitus, Elsevier. Mohan V, Rema M, Raghavan S.. Dr. Mohan’s Diet Manual for Diabetes, Elsevier. Mohan V, Unnikrishnan R (Eds), World Clinics Diabetology: Type 2 Diabetes Mellitus. Jaypee Brothers Medical Publishers. 2014. Chandalia HB, Sridhar GR, Das AK, Madhu SV, Mohan V, Rao PV. (Eds), RSSDI Textbook of Diabetes Mellitus. Third Edition. Jaypee Brothers Medical Publishers. 2014. Mohan V., Unnikrishnan R. (Eds) Clinical Case Series in Diabetes (Volume I), Jaypee Brothers Medical Publishers, 2015. Mohan V., Unnikrishnan R. (Eds) Clinical Case Series in Diabetes (Volume II), Jaypee Brothers Medical Publishers, 2018. Member, National Technical Advisory Committee of the Govt. of India’s Integrated Disease Surveillance Project (IDSP), New Delhi. Member, Advisory Committee of the ICMR (Non Communicable Disease Surveillance), New Delhi. Member, International Diabetes Federation (IDF) Task Force on CVD. Former Member, Task Force on Chronic Disease Biology, Department of Biotechnology (DBT), New Delhi. WHO Temporary Adviser, Consultation on Diagnosis of Diabetes Mellitus and related disorders of glucose metabolism, Geneva. Member, Editorial Board, Journal of Diabetes Science and Technology, USA. 2. 1976 Nageswara Pantulu Gold Medal for Original Research during Postgraduate Medical Education (University of Madras). 3. 1983 Boehringer-Knoll Lectureship in Diabetes (Association of Physicians of India). 4. 1984 Dr .R.V .Sathe Award for research in Diabetes. (Diabetes Association of India). 5. 1984 Rameshwardasji Birla Smarath Kosh Fellowship, Bombay. 6. 1985 Welcome Research Fellowship,U.K. 7. 1986 Alexander Von Humboldt Fellowship, West Germany. 8. 1988 Shakuntala Amir Chand Prize for Young Scientists by Indian Council of Medical Research (ICMR), New Delhi. 12. 1989 Sivanthi Adityan Gold Medal for best paper presented at Annual Conference of Association of Physicians of India,Calcutta, January 1989. 13. 1991 Dr. J.N. Berry Memorial Award for the best paper presented at the Annual Conference of Association of Physicians of India,Agra , January 1991. 14. 1994 E .Merck Award for the best paper presented at the annual conference of Association of Physicians of India, Guwahati,January 1994. 15. 1995 Hoechst Senior Lectureship in Diabetes Oration Award by Association of Physicians of India,1995. 16. 1995 Dr. E.V. Peiris Endowment Oration Award by the Ceylon College of Physicians, Sri Lanka. 18. 1996 Dr. H.R. Varman Oration Award by Independent Medical Practitioners Association of India (IMPAI) during the XVIII Conference, Chennai. 19. 1998 Lifescan Diabetes Oration by Indian Medical Association,Bombay Western Suburban Branch, Mumbai. 20. 1999 Dr. Sam G.P. Moses Oration by VII National Cardio Diabetology Conference, Hubli. 21. 1999 Prof. Kizar Ahmed (Medicine) Endowment Oration Award by the University of Madras, Chennai. 22. 1999 Dr. V.S. Prayag Memorial Oration by B.J. Medical College, Pune. 24. 1999 Diabetes Research Award by University of Duesseldorf, W. Germany. 25. 1999 Tamil Nadu Scientist Award (TANSA) for Medical Research by the Tamil Nadu State Council for Science & Technology, Govt. of Tamil Nadu. 26. 2000 Outstanding Referee Award by Journal of Association of Physicians of India. 27. 2000 Best Paper Award (Awarded Twice) at the Joint Annual Conference of API, Jaipur, APICON 2000. 29. 2000 Dr. T.V. Sivandandam's Oration Award by the Coimbatore Branch of Indian Medical Association,and Coimbatore Branch of Diabetic Association of India. 33. 2001 Prof. M.M.S. Ahuja Memorial Oration by Tripura Diabetes Forum, Tripura, Agartala. 35. 2001 IMA Medicon Mysore 97 - USV Oration, Mysore Medical College, Mysore. 54. 2005 Dr. Sunil Kumar Basu Memorial Oration, Diabetic Association of India, West Bengal Branch, Calcutta. 76. 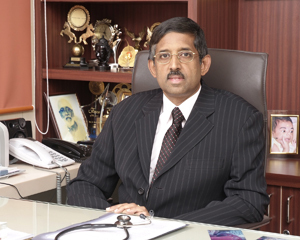 2011 Uppalapati Venkataratnam Memorial Ninth Annual Oration, Indian Medical Association, Vijayawada. Dr. K. Janakiraman’s Gold Medal Award 2013 by Diabetes Association of Salem (DAS) during the First Annual Conference of Diabetes Association of Salem. 116. 2015 Honorary Doctor of Science (D.Sc.) by the Sri Devaraj Urs Academy of Higher Education and Research, Kolar, Karnataka. 1. 1994 New Horizons Award by the International Lions Club, U.S.A.
3. 1998 Cathedral Excellence Award by Lions Club of Madras Cathedral, Chennai. 4. 1998 Seva Ratna Award by The Centenarian Trust, Chennai. 5. 1998 AFJA National Award for Excellence 1998 by All India Freelance Journalists Association, Chennai. 6. 1999 Outstanding Personality Award by Indian Medical Association, Vellore Branch and Chrisitan Medical College, Vellore. 7. 2000 Distinguished Humanitarian Service Award by the Lions Club International, Dist.324A1. 23. 2013 Best Hospital In India For Endocrinology And Diabetology by ICICI Lombard and CNBC TV 18 India Health Care Awards 2013. Nutrition & Diabetes, Hyderabad, India. 1979 X International Diabetes Federation Congress, Vienna, Austria. 1979 Kroc Foundation Symposium on Autonomic Neuropathy,Santa Barbara, California, U.S.A.
1981 World Congress on Diabetes in the Tropics, Bombay, India. 1982 World Congress on Diabetes in the Developing Countries, Yugoslavia. 1985 XI International Diabetes Federation Congress Madrid, Spain. 1986 Annual meeting of Swiss Diabetes Association, Basel, Switzerland. 1987 German Society for Internal Medicine Weisbaden, West Germany. 1988 W.H.O Sponsored workshop on 'Malnutrition Related Diabetes Mellitus' London, U.K.
1989 Asian Symposium on Childhood Diabetes, Bangkok, Thailand. 1990 The Royal London Hospital , Whitechapel, London, U.K.
1991 New York Medical College, New York, U.S.A.
1993 Novo Nordisk Update, Colombo, Sri Lanka. 1994 XV International Diabetes Federation, Kobe, Japan. 1995 Ceylon College of Physicians, Colombo, Sri Lanka. 1996 Journee' de Diabetologie, Paris, France. 1997 Novo Nordisk Meeting on Diabetes, Kobe, Japan. 1997 XVI International Diabetes Federation, Helsinki, Finland. 1998 34th Annual Meeting of the EASD, Barcelona, Spain. 1998 South Asian Society on Athersoclerosis and Thrombosis (SASAT),New Delhi, India. 1998 AADA Meeting, Penang, Malaysia. 1999 4th International Diabetes Federation – Western Pacific Region Congress, Sydney, Australia. 1999 10th Congress of the ASEAN Federation of Endocrine Societies, Bangkok, Thailand. 1999 Diabetes and Endocrine Conference, Dhaka, Bangladesh. 2000 Seminar at University Hospital of Wales and Llandough Hospital NHS Trust, Cardiff, Wales, U.K.
2000 The 2nd International IFDOR Conference, Copenhagen, Denmark. 2000 Annual Meeting of the European Diabetes Epidemiology Group in Zandvoort, The Netherlands. 2000 17th International Diabetes Federation Congress, Mexico City, Mexico. 2000 Satellite Symposium on Epidemiology of Diabetes, Acapulco, Mexico. 2000 University of Minnesota, Minneapolis, U.S.A.
2000 Mayo Clinic, Rochester, U.S.A.
2001 The 3rd International IFDOR Conference, Copenhagen,Denmark. 2001 Workshop on DCEP Project, Copenhagen, Denmark. 2001 Emory University School of Medicine, Atlanta, Georgia, USA. 2001 University of Alabama at Birmingham, U.S.A.
2001 Joslin Clinic, Massachusetts, U.S.A.
2001 World Health Organization meeting at Cambridge, U.K.
2003 UT Southwestern Medial Centre, Dallas, Texas, U.S.A.
2004 64th American Diabetes Association, Orlando, Florida, U.S.A.
2005 Lilly Diabetes Update, Hongkong . 2005 65 th American Diabetes Association Conference, University of San Diego, U.S.A.
Endocrine Ground Rounds at the Division of Endocrinology & Metabolism, University of San Diego, U.S.A.
Free check up of over 10,000 autorickshaw drivers in Chennai. Adopted 25 villages in Kanchipuram District for free treatment of deserving patients.